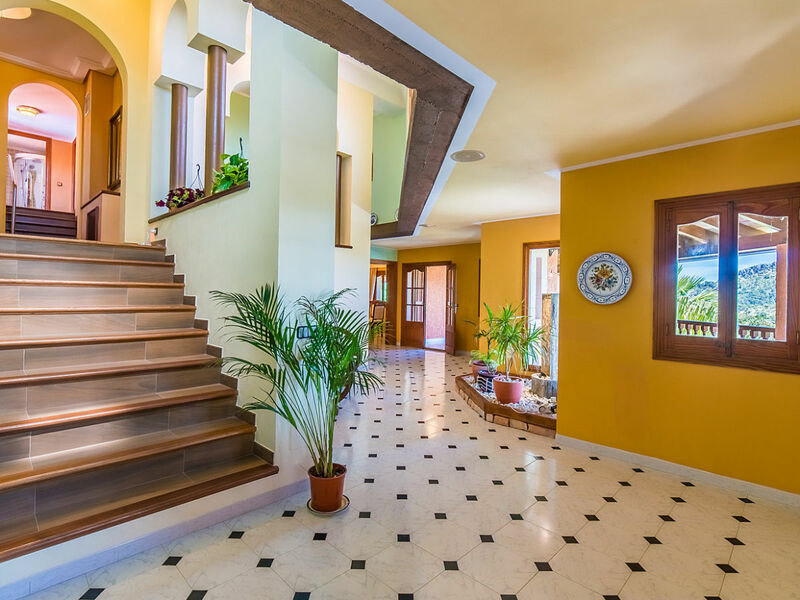 Villa Oscols is a splendid property located on the top a hill, offering unrivalled panoramic views, which has all the necessary amenities for the enjoyment of your vacation, including daily cleaning service (Monday to Saturday). 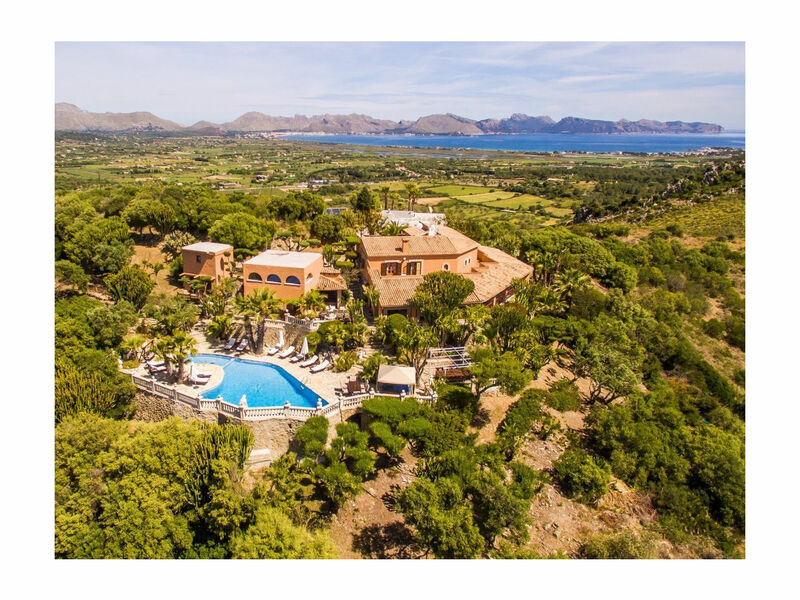 Its privileged location offers spectacular views over the bays of Pollensa and Alcudia. Private Chef services available on request. 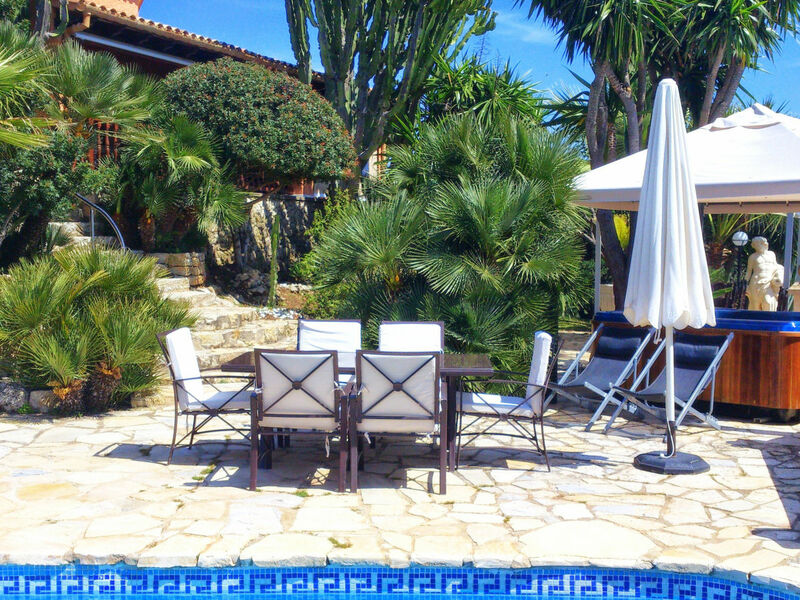 The pool area is the main feature of the house, which has an original heated Jacuzzi, different resting areas with tables, chairs and sun loungers and an outdoor sound equipment. In addition to the spectacular views of the sea, countryside and mountains, the outdoor area offers large Mediterranean gardens for relaxing walks, a children's playground, games room with billiard and table football, gym equipment and table tennis, will ensure that everyone finds fun time. The barbecue area has space and equipment for your enjoyment both on the covered terrace, as well as on the outdoor terrace or under the gazebo next to the pool. 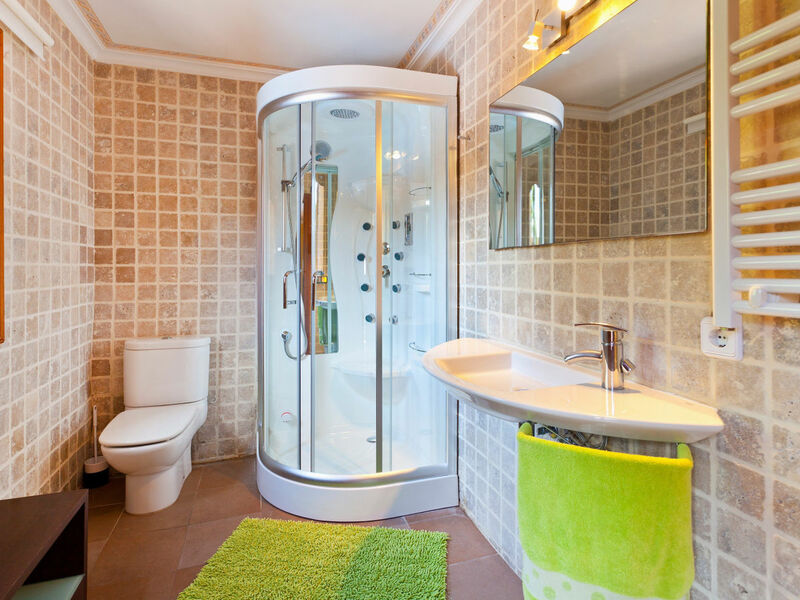 The property has air conditioning in all rooms and living rooms. The WIFI internet connection network is available throughout the property, indoors and outdoors. 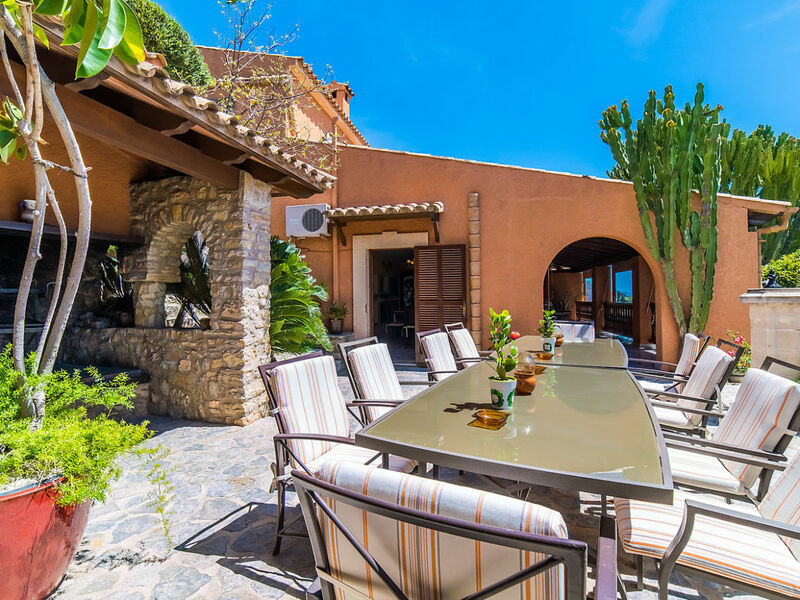 This property is a very exclusive home which will marvel you with its privileged views from its elevated lording spot, over the bays of Pollensa and Alcudia and the surrounding hilly countryside in Northern Mallorca. 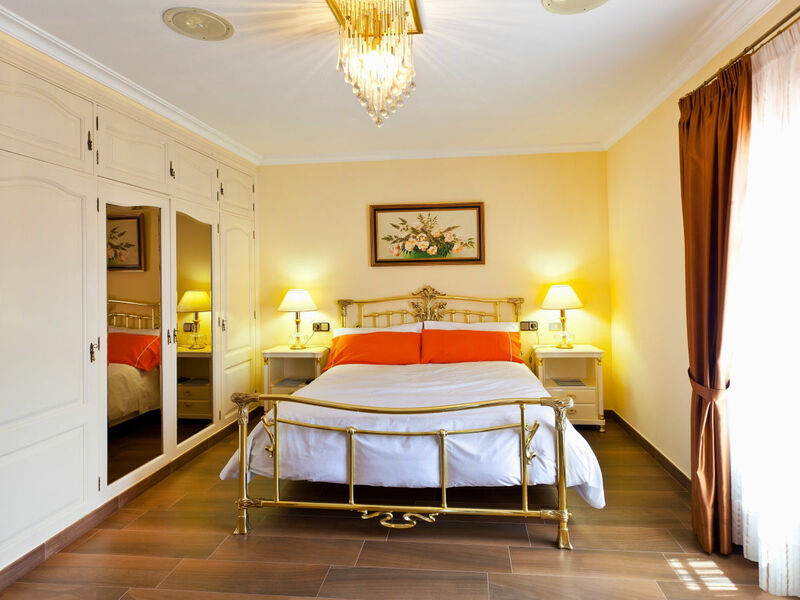 You will have some 350.000 m2 to yourself and no neighbours to disturb your peace and privacy, but this won't imply any type of isolation for it is only a 10-15 minute drive to either Alcudia (7 km) or Pollensa (8km) and their gorgeous sandy beaches. These historically fishing villages have nowadays become popular holiday areas ideal for families and couples, and even through their enormous success they have kept their simplicity, relaxing atmosphere and exclusive feel. The area also has a great variety of leisure activities to indulge yourself in, if lazing in the sunshine by the pool or at the beach won't make your every day. 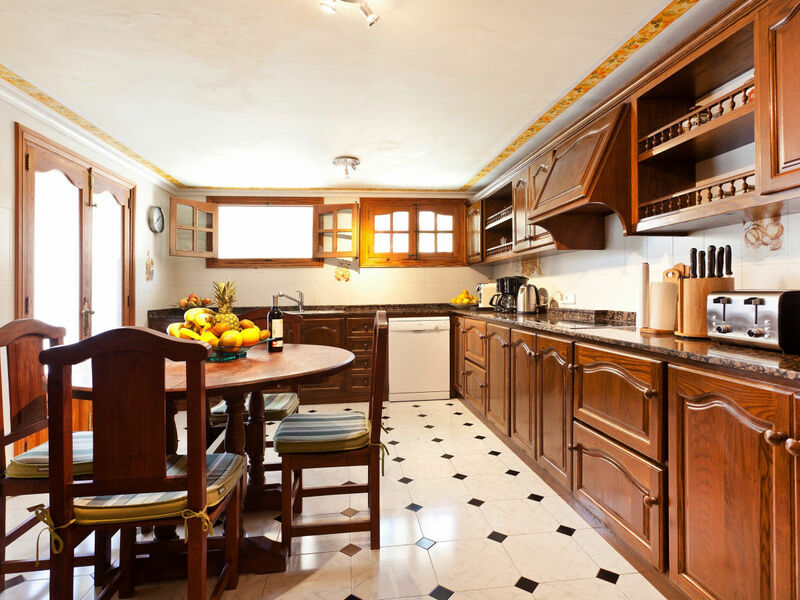 There's everything from practicing horse-riding, tennis or golf, to cycling and hiking routes, water sports, and of course since we are in Spain, a wide choice of delicious restaurants to enjoy Mediterranean cuisine, as well as shops. The villa's cultivated gardens filled with Mediterranean plants and flowers and lawn areas are spectacular. 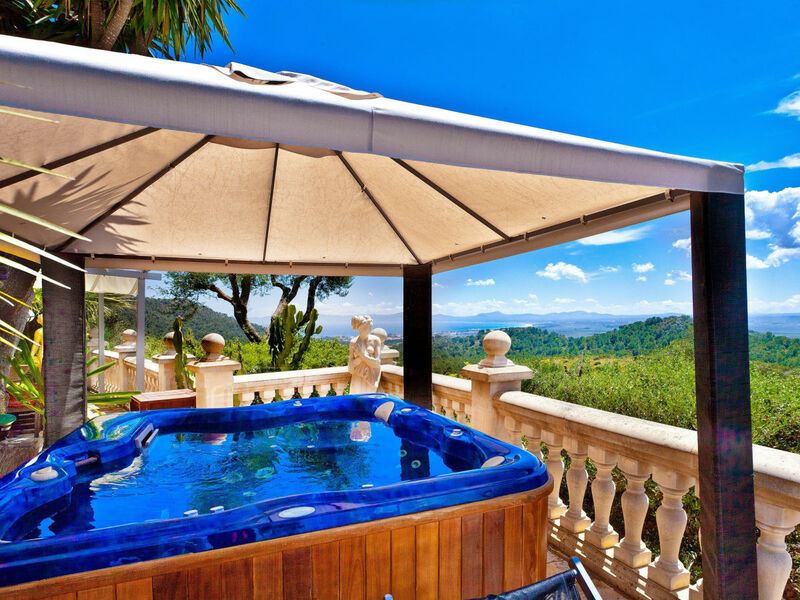 You are also welcome to enjoy a peculiar and unique swimming pool of 10x5m, including a shallow area for children, and an outdoor Jacuzzi with capacity for 6 and breathtaking views to the bay of Alcudia. 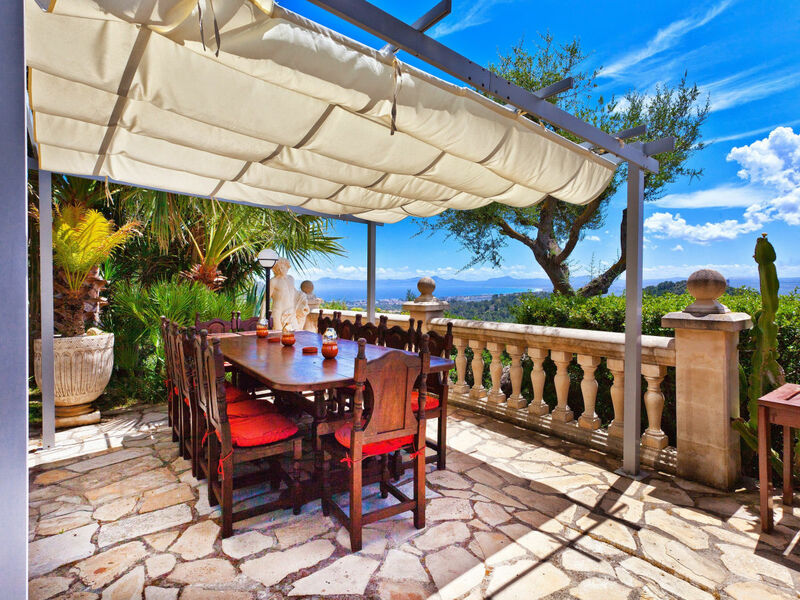 The beautiful terrace alongside the house is furnished with plenty of lounge areas for relaxing during the day and enjoying the gorgeous Mediterranean sunsets. 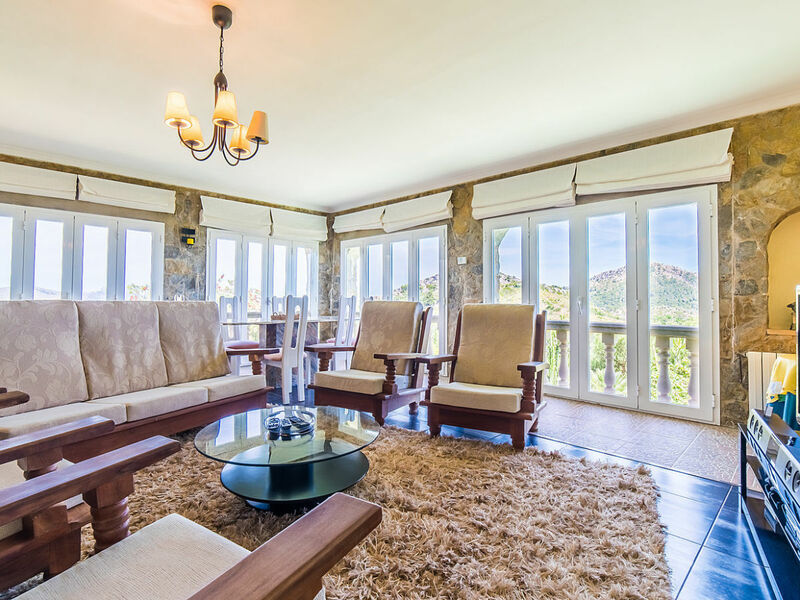 There's also a built-in barbecue and dining terrace with for you to admire the magnificent views while enjoying a meal together outdoors. The interiors are just as magnificent, smartly decorated and offer all kind of modern facilities for your ultimate comfort. The living room is equipped with a huge home cinema screen and sound system, satellite TV, DVD player, Playstation 3 and Nintendo Wii, sure to entertain kids and adults alike. There's also a laptop at your disposal and WIFI connection all throughout the property. 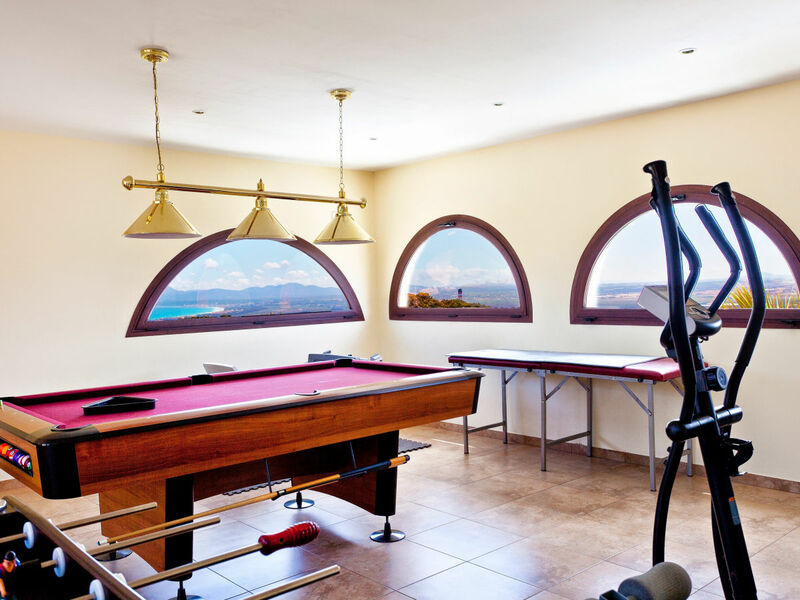 Other recreational activities the villa offers are board games, table tennis, table football and billiard. The rooms are spread out on separate buildings. 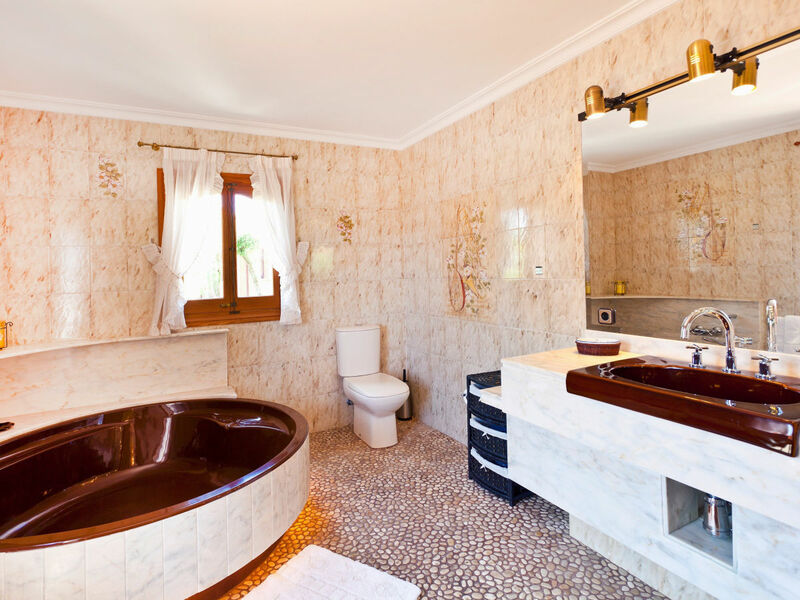 The main house includes 2 double en suite bedrooms, 2 twin bedrooms and a single bedroom sharing bathroom with hydro-massage shower as well as a modern kitchen, fully-equipped with everything you may need for cooking for a large group. 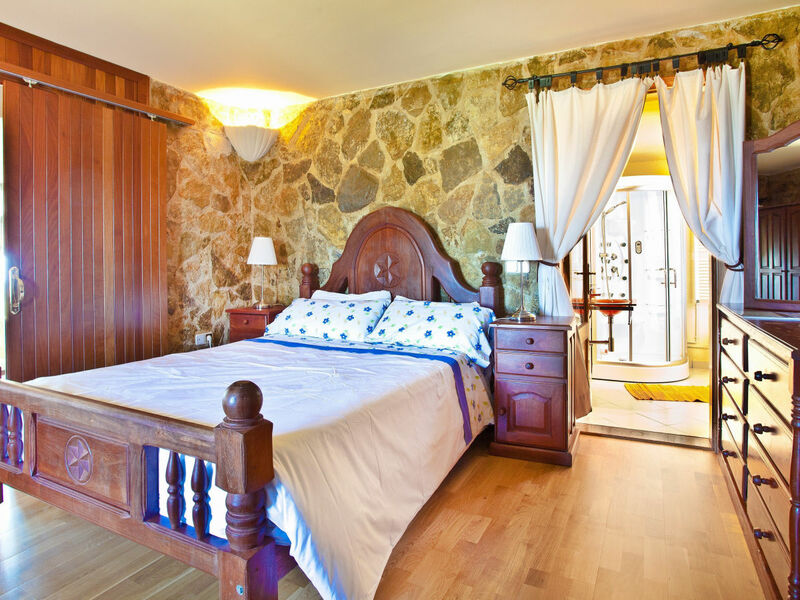 The guesthouse has a second fully equipped kitchen, two twin bedrooms sharing bathroom with jacuzzi and another double en suite with bathroom with hydro-massage shower, making up the villa´s total of 8 bedrooms capable of accommodating 15 people. All bedrooms feature air conditioning and satellital TV. 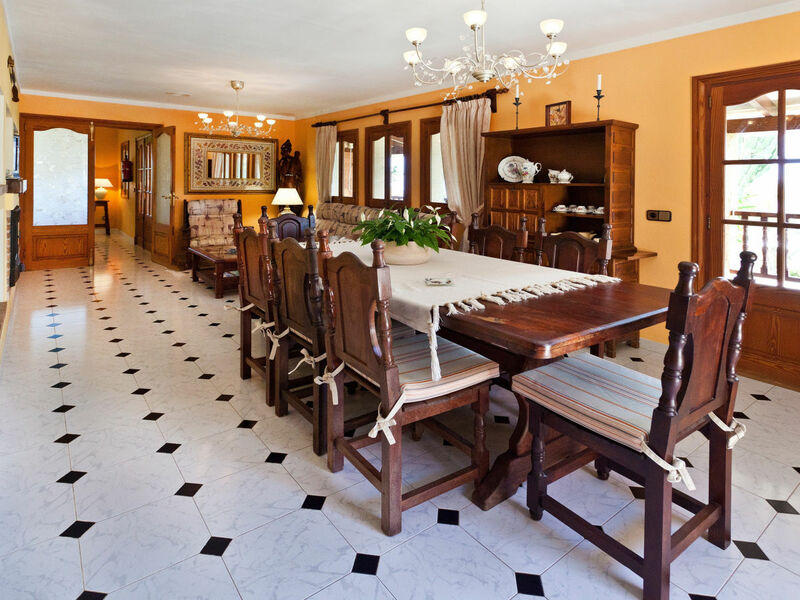 As you can see the set-up of the villa makes it an idyllic place for large families and groups desiring to spend quality time together and still have independence. Outdoor hot tub next to swimming pool with capacity for 6 people - Welcome pack including fruit, refresments, regional wine, snacks - Bath towels changed 3 times a week, bed clothes once a week - Pool towels available - Sony playstation 3, Nintendo Wii, table football and games - Wifi throughout the property, laptop computer and broadband access. 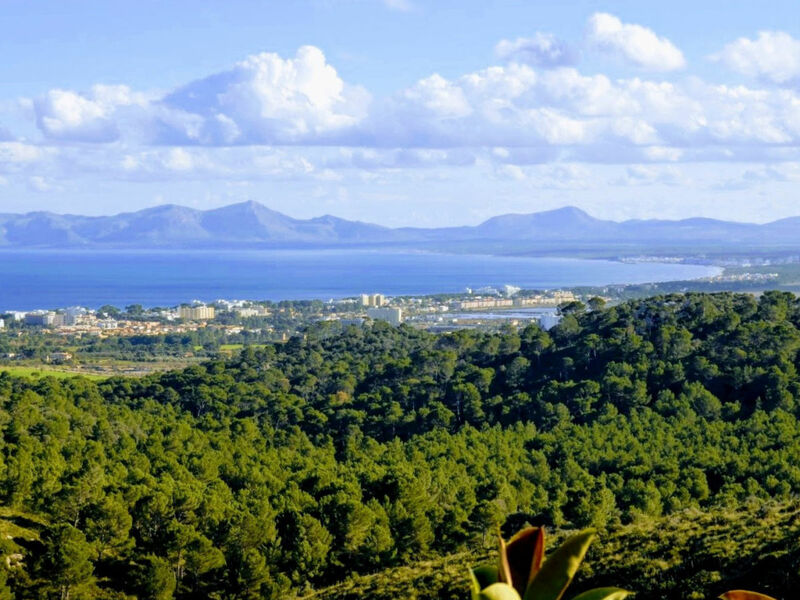 Breathtaking views to both, Bay of Pollensa and Bay of Alcudia. The nearby historic old town of Alcudia is a genuinely interesting place to visit. It has one Spain’s best-preserved old city-walls, and it was home to the major Roman settlement in Mallorca, Pollentia, from which you can visit the recently dug up ruins. It’s also got a grand street market on Sundays and Tuesdays, offering all kind of traditional products. The inner town is very well kept with pretty flowered streets, good restaurants and a great variety of small local shops. 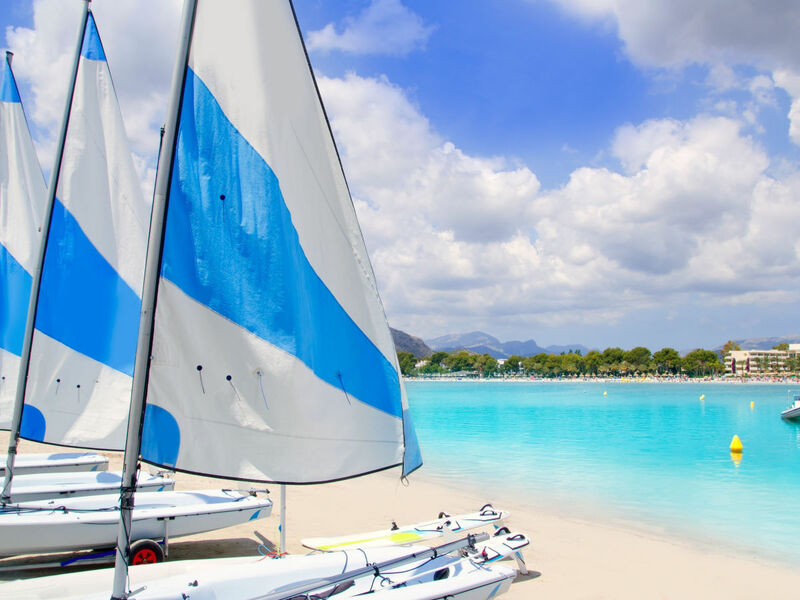 The marina of Alcudia, Puerto Alcudia, is a great option if you are looking for cosy seaside terraces where you’ll be able to enjoy a great range of good restaurants for all tastes, sophisticated shops and lovely walks along the harbour. For those who prefer nightlife, many lounge terraces, music bars, pubs and clubs will welcome you until late at night. 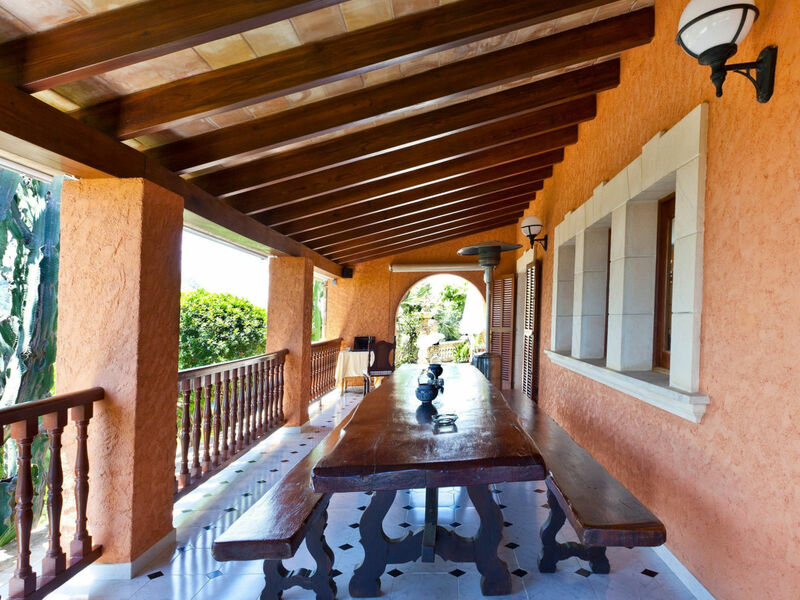 The house manager of the property will have the pleasure to meet you on your arrival and show you the place. 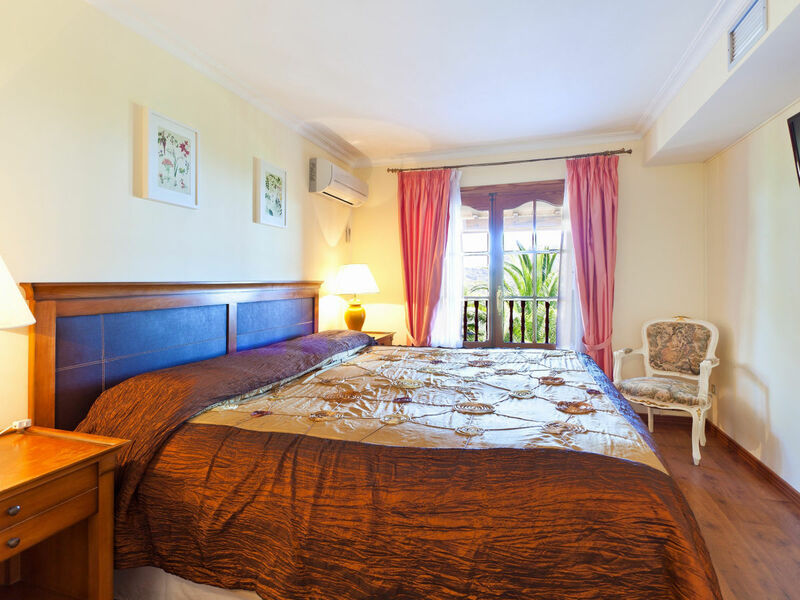 The guest will be charged 30% of the total price if cancellation done at any time after confirmed booking.